Today’s business is unthinkable without HR specialists. A management guru Peter Druker once said, “The organization is, above all, social. It’s people”. HR managers help to build this social system, and improve the efficiency of work. However, how do the heads of companies appreciate work of HR specialists? We compared salaries in the USA and Great Britain to see which region pays HR managers more. The data is taken from an analytical report by Ashley Kate HR – Specialist Recruiters for HR Professionals and the information at glassdoor.com. To do this, we calculated the average values for each region and for each individual specialty separately. It is worth noting that we didn’t average the data for each position. We calculated for each region and each specialty in general. Then all the salaries from Great Britain were converted to USD to compare them with the data from the USA. HR Generalists, who are responsible for operational and strategic objectives at the same time. On the one hand, they work with staff documents and perform other administrative duties. On the other hand, these HR managers conduct recruitments, participate in organizational management, etc. They are the universal HR professionals. Learning & Development Specialists, who help to organize learning processes in the company. At present businessmen understand that knowledge is important for profitability, so the need for L&D Specialists is increasing. 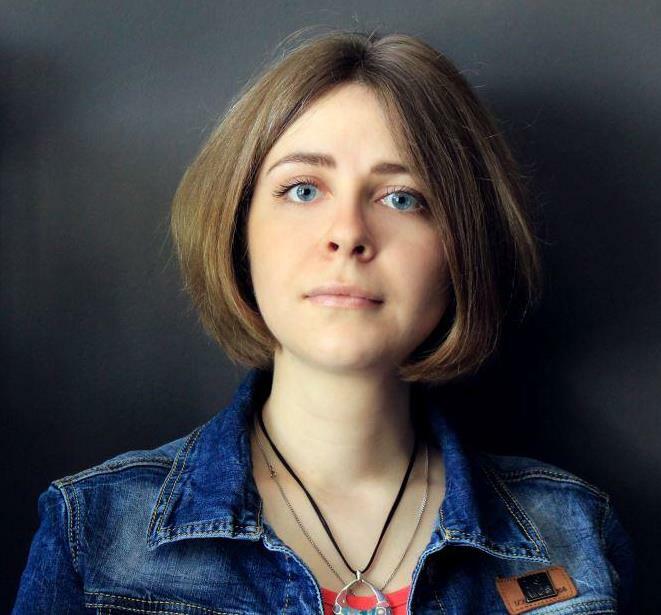 Recruiters, who select the best employees for any company. Reward Managers/Analysts, who are involved in the analysis of a company’s reward system. They manage employee engagement through the control of remuneration, competencies and employee benefits. These specialists create and effectively maintain the reward system. Organizational Development Managers, who are guidance counselors for the top-management in organizational development. They evaluate training needs and staff development necessary for improving the efficiency of employee work. All five types of HR specialist perform different functions, and their salary levels differ from each other. In addition, the circumstances in individual regions (the Midlands, the North, the South or the capitals) affect salary levels. If we compare the average salaries of HR managers from different regions of Great Britain, we notice one interesting fact: specialists from London and the South earn more than those from the North and the Midlands. However, Organizational Development managers in the Midlands earn only slightly less than those in London. Look at the graphics to see the overall picture of HR salaries in Great Britain (data from the report by Ashley Kate HR; the average salary is converted to USD). A similar situation is typical for the USA: HR Managers from New York, Washington and the South get more than their colleagues from the North and the Midlands. You can see all the data in the graphic below (data from glassdoor.com). Great Britain vs. the USA: where are HR salaries higher? 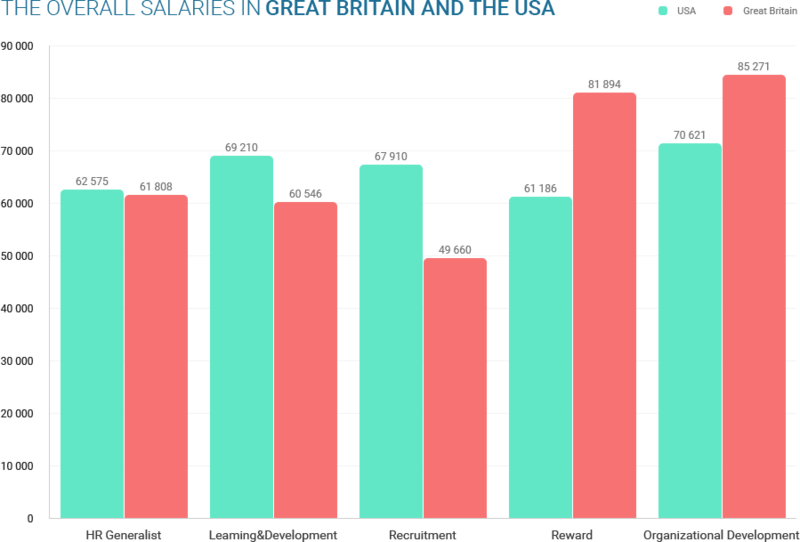 HR Generalists, Learning & Development Managers and Recruiters have bigger salaries in the USA than in Great Britain. The work of Reward Analysts and Organizational Development Managers is valued more highly in Great Britain. 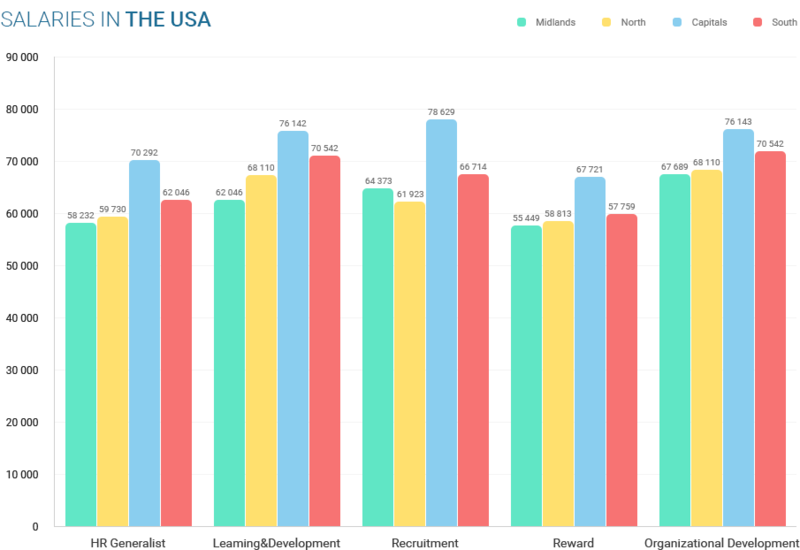 To see the overall picture of salaries more clearly, take a look at the following graphic (data from the report by Ashley Kate HR and glassdoor.com, the average salary is converted to USD). It’s obvious that HR plays a major role in the management of any company. They are the people who are at the root of success, and judging by the salaries CEOs know it.